Calling all Ladies! 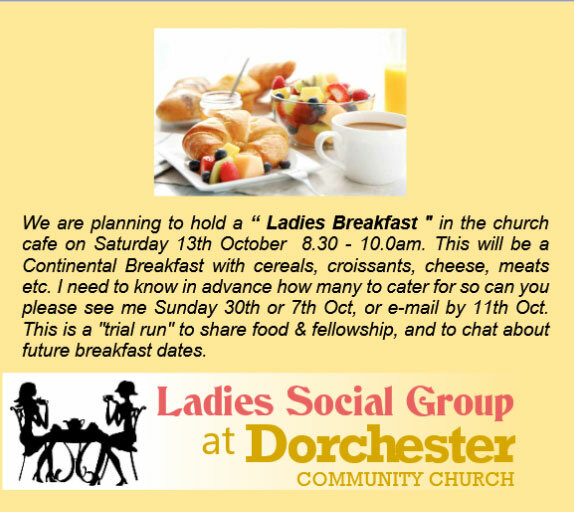 Ladies Breakfast We are organising a ladies breakfast at the new building. It’s on Saturday 13th October starting at 8:30am. Please see Andrea Chant or Nina Collins for more information.